Oil is one of the most essential fluids in your car. Without it, your engine won’t run for long before burning up. The lubrication provided by motor oil reduces friction, heat and wear. Regular oil and filter changes are essential to a smooth-running, long-lasting engine. So what kind should you use? Beyond brand names (like Pennzoil oil) and weights (5w-30, 10w-40), there are five different types of motor oil. And odds are the manufacturer that built your car has specific recommendations as to what type to use. There’s conventional oil. It does what any oil should do by actively cleaning out sludge to keep your engine running cleaner, cooler and longer. 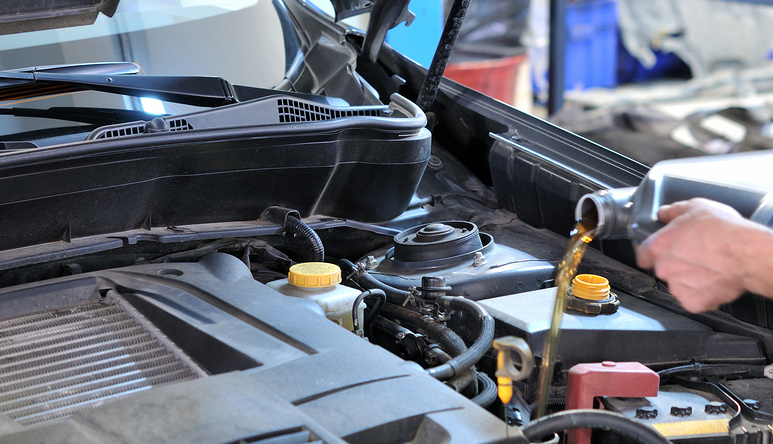 If your vehicle is older and has 75,000 miles or more, you should consider high-mileage oil. It’s specially formulated for older, higher mileage cars, not only reducing sludge but helping to reduce leaks and burn-off. If your vehicle is a truck, minivan or SUV, you should consider a synthetic blend oil at your next oil change and everyone after. Synthetic blend oil is better than conventional oil for severe driving conditions, including trailer towing. For an even cleaner clean inside your engine, synthetic oil is the way to go. It’s also formulated for severe driving conditions and keeps pistons cleaner than the toughest industry standard. And finally, the fifth and finest of the motor oils available today…ultra synthetic oil. Nothing keeps your engine closer to factory clean. Check your owner’s manual to see which oil your vehicle’s manufacturer recommends. Pennzoil formulates its synthetic blend, synthetic oil and ultra synthetic oil to be dexos approved, General Motors’ new and rigorous standard for motor oil for its 2012 and newer models. Can’t find your manufacturer’s recommendations? No problem. Pennzoil oil has an online selector that will help you determine the right type of oil (conventional, high mileage, synthetic blend, synthetic oil and ultra-synthetic oil) for your vehicle. And remember, not all oil change places are alike, either. Mr. Clean Car Wash never charges shop or disposal fees, and any oil change service (they offer five—one for each type of oil) comes with a free Pro Interior & Exterior Wash! Click here for full details.